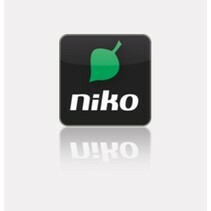 Niko Home control Software, when you purchase a Niko Home control system, you will receive the latest Niko Home control software for free. 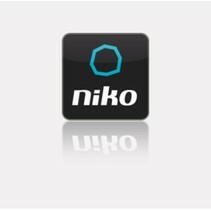 With the programming software Niko Home control 2 you program the installation. The new software is even more user-friendly and visually constructed than version 1. A smart home only becomes intelligent when all different systems communicate with each other. Niko Home control is an easy-to-install and cost-effective home automation for Do-It-Yourselfers that allows you to make a connected home from any home. Niko therefore looks for strong and reliable partners and together with them develops qualitative solutions that improve daily life. Moreover, the installation and programming of them is now much easier thanks to the visually strong Niko Home Control II software package. The integration of external partnerships in the installation is automatic. This way you can quickly associate quality brands such as Velus, Renson, Raynaers, Sonos and Bose with your Niko Home control system. Thanks to the flexibility of Niko Home Control, the system can continue to grow over the years.